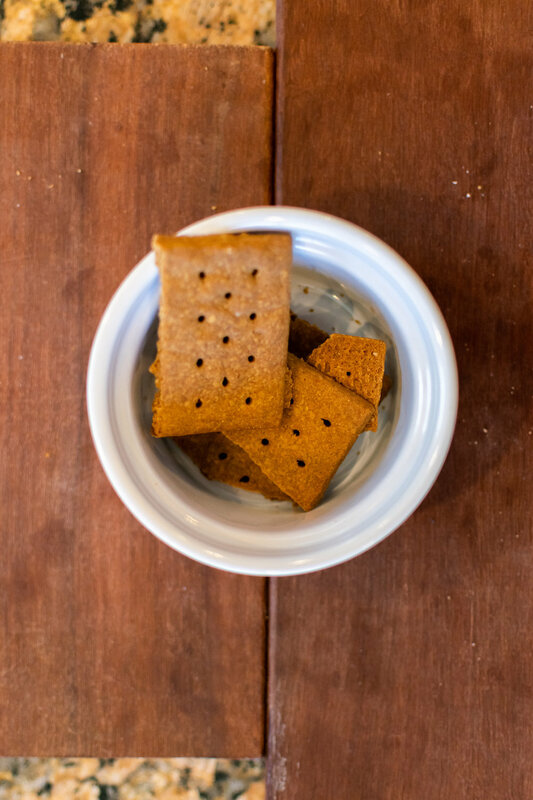 Crush graham crackers in the bottom of the jar, add a pat of butter and put in the microwave until butter has melted. 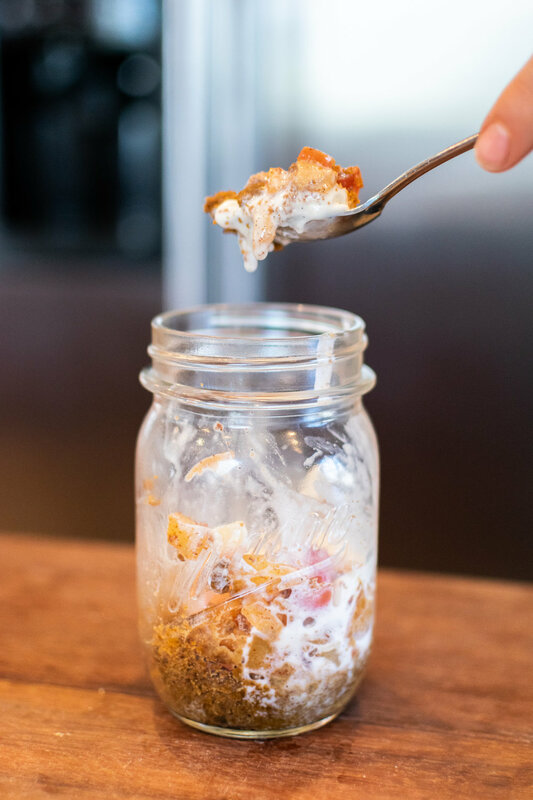 Mix melted butter and graham crackers and press them down flat at the bottom of the jar. 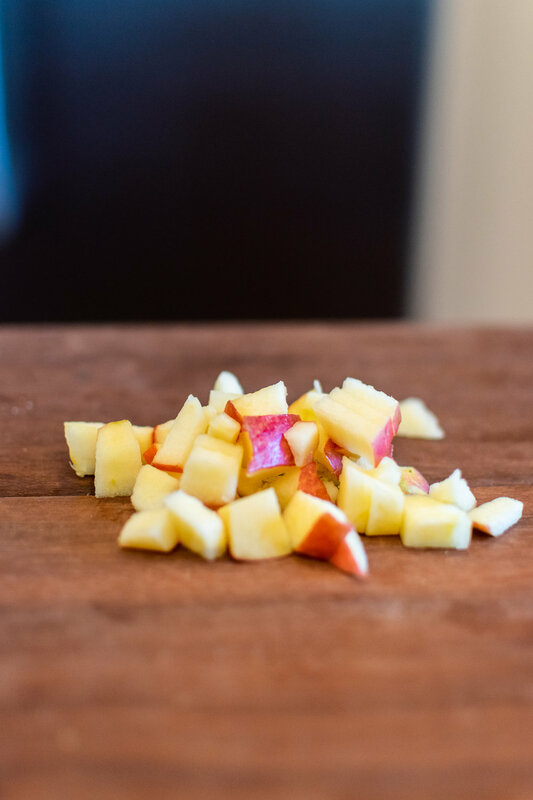 Chop up half of an apple and microwave them until they are warm and slightly soft. Sprinkle cinnamon, cloves and ginger over the apples. Scoop your gelato onto the apples. 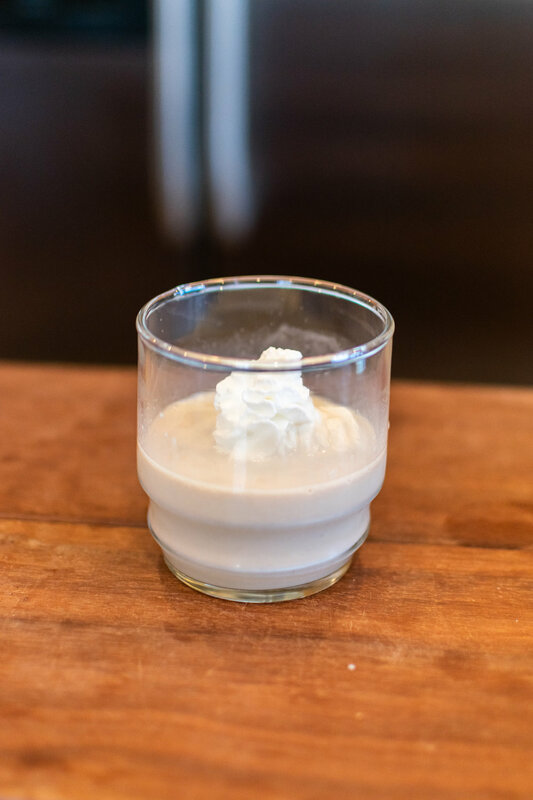 A scoop of gelato, one shot of vodka. 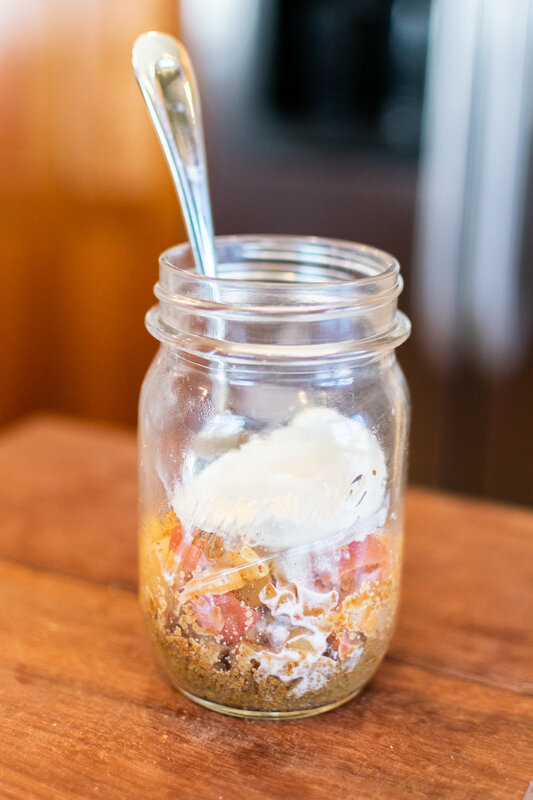 Sprinkle graham cracker crumbs on top.